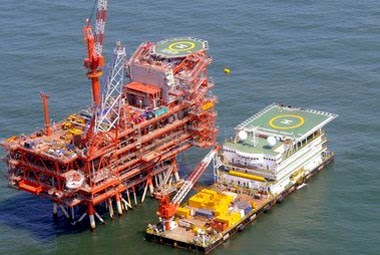 THE NDA government has formed a six-member committee to look at selling as many as 149 small and marginal oil and gas fields of state-owned ONGC and OIL to private and foreign companies to boost domestic output, a PTI report quoting official sources said. of the October 12 meeting called by Prime Minister Narendra Modi to review domestic production profile of oil and gas and the roadmap for cutting import dependence by 10 per cent by 2022. The ministry was of the view that ONGC should concentrate on the large fields as they contribute to 95 per cent of its production and leave out the rest for private firms, the report added. The six-member panel has begun consultations with the stakeholders on the possible options, they said. This is the second attempt of by the Oil Ministry to take away some of the fields of state-owned ONGC for giving to private and foreign companies. The government gave out 34 fields to private firms by offering them pricing and marketing freedom for oil and gas they produced from the fields in the first round of DSF. The second round of DSF with 25 fields on offer is currently under bidding. In the proposal that was mooted in October last year, the plan was to give out 60 per cent stake in 15 fields -- 11 of ONGC and four of Oil India. These included Kalok, Ankleshwar, Gandhar and Santhal -- the big four oil fields of ONGC in Gujarat.